DeWayne was raised in Linn, Missouri (Osage County), getting his Real Estate license in 1987 at the ripe old age of 19. DeWayne received an Associate’s Degree in Accounting & a Bachelor’s Degree in Business & CIS, pursuing a career in the IT field, while also selling central Missouri. He’s seen many changes in both the IT & Real Estate fields. “The internet & computers have had a major impact on the real estate industry”. “Today’s clients expect you to be tech savvy & to be on the top of your game”. DeWayne lives in rural Cole county near Taos, with his wife Kimberley, daughter Delaney, & son Quinton. He owns & manages rental properties in Taos. He also flips houses & enjoys restoring them back to life. In his “spare” time, he coaches his son’s baseball team & while chalking up many miles taking his daughter to dancing lessons until she was old enough to drive. In the fall you can find him in the woods waiting for that perfect buck to appear. 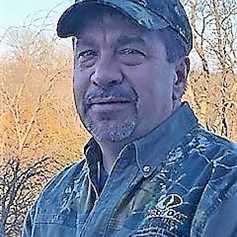 DeWayne retired from the State of Missouri in 2018 & had pursued the idea of opening a Mossy Oak office for the past 3 years. His 30 years of Real Estate background selling homes, rural land, & commercial has given him a wide range of expertise to pass on to his clients. “The power of Mossy Oak’s brand along with its values fits perfectly in what I envisioned when opening an office to sell central Missouri, but not only the land where we hunt & fish, but homes as well because we live here too”.